The Justice Department is going after real estate fraud. The 400-plus people charged nationwide racked up $1 billion in losses. Here's what they are finding. 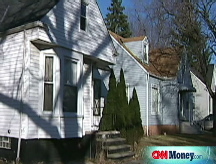 NEW YORK (CNNMoney.com) -- While Congress and the Bush administration are focusing on bailing out struggling homeowners and financial companies, another group of federal officials are going after the people who helped propel the country into the mortgage crisis. The FBI's Mortgage Fraud Task Force, which works with federal, state and local law enforcement officials across the United States, has ramped up its work. Its targets: mortgage brokers, lenders, appraisers and professionals who defraud homeowners and bankers. A federal grand jury is looking into three large players in the housing market - Countrywide Financial, IndyMac and New Century Financial - the Los Angeles Times reported last week. All three succumbed to the mortgage meltdown. The paper said that investigators are also looking into whether Countrywide founder Angelo Mozilo gave mortgage deals to powerful friends and politicians, including members of Congress. In recent weeks, law enforcement officials have descended on those suspected of fraud. This month alone, mortgage professionals in Maryland, Florida, Washington and elsewhere have been charged with bilking lenders and homeowners out of millions of dollars. These charges come on the heels of the U.S. Justice Department's roundup of more than 400 people - accused of inflicting more than $1 billion in losses - who were caught up in the latest nationwide sweep named Operation Malicious Mortgage. "Mortgage fraud and related securities fraud pose a significant threat to our economy, to the stability of our nation's housing market and to the peace of mind of millions of American homeowners," Deputy Attorney General Mark Filip said in June. Mortgage schemes come in many flavors, but the most common by far are conducted by industry insiders. Some 80% of all fraud losses involve collaboration or collusion by professionals, which is known as "fraud for profit," according to the FBI. Often the schemes involve inflated appraisals, falsified documents and fake buyers. The crooks take as much equity as they can out of a house before they stop making mortgage payments, usually leaving the lender stuck with the property. In Las Vegas earlier this month, five people pleaded guilty in a scheme that cost banks $17 million. They were involved in recruiting people to pose as homebuyers, falsifying loan applications and then defaulting on mortgages. Six more people are awaiting trial in the case. In other schemes, professionals steal people's identities and credit histories to qualify for loans. Sometimes, the sham involves flipping a house from buyer to buyer, inflating its value, before abandoning it. In some cases, industry insiders claim to help delinquent borrowers save their homes from foreclosure, but actually take the title of the home, strip out the equity and then desert it. In mid-July, law enforcement officials charged a 36-year-old Maryland man with defrauding homeowners facing foreclosure. In the case, the man conspired with the owners and employees of the Metropolitan Money Store to dupe struggling borrowers, telling them they could keep their homes and repair their credit if they turned over the title of their houses. Instead, the FBI charges, they stripped the homes of their equity and let them fall into foreclosure. Nine defendants face a variety of charges, including mail fraud, wire fraud and money laundering. He is looking at a maximum sentence of 30 years in prison and $1 million fine. The other type of fraud, known as "fraud for housing," involves a borrower falsifying his income or employment to qualify for the loan. While acknowledging that the feds can't turn a blind eye to mortgage fraud, industry observers question how effective their efforts will be at stemming such crimes. Some say the problem is just too widespread, while others maintain the key to stopping mortgage fraud lies in closer monitoring of the lenders and other professionals. "The deterrent will come through better regulation and underwriting standards," said Todd Foster, a former federal prosecutor and FBI agent who is now a defense attorney in Tampa. "I'm not sure these prosecutions will have as great an effect as that." Law enforcement agencies started ramping up their investigations into mortgage fraud earlier this decade after seeing a spike in banks filing reports of suspected criminal activity. In 2004, they formed a mortgage fraud task force with local and state officials and, within 16 months, had charged more than 300 people with crimes ranging from doctoring loan documents to inflating property appraisals. There are now 42 regional mortgage fraud task forces nationwide charged with rooting out criminal activity in the housing market, with many of them created after the sector starting imploding last year. One of the most recent was a squad in Southern California, a hotspot for mortgage schemes, which was assembled in June. "We don't know the depth of the problem," said Sharon Ormsby, the FBI's section chief of financial crimes. "We are trying to be diligent and target those subjects who will do their communities the most harm." The FBI has 180 agents devoted to the sector. They are juggling more than 1,400 investigations, double the caseload it had three years ago. It is also probing 22 corporations for subprime-related schemes. Law enforcement officials have been busy in recent months. In the first four months of the year, the FBI obtained 189 indictments and 122 convictions, on top of 321 indictments and 260 convictions last year. 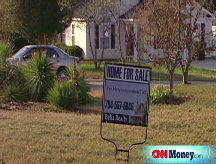 The top markets for mortgage fraud include Florida, Georgia, Michigan, California and Illinois. The housing market's collapse doesn't spell the end of mortgage fraud, Ormsby said. Foreclosure scams will likely increase, for instance. "The market, whether up or down, doesn't affect fraud," she said. Nowadays, the criminals "just need to be more creative." Clamping down on mortgage fraud is tough, says Patricia McCoy, law professor at the University of Connecticut. Since the players are often small, law enforcement has to go after "many small fish in many different towns" nationwide, she said. While many blame the regulators for being too lax during the housing boom, McCoy said officials could have ramped up their efforts earlier too. It might have encouraged lenders to increase their oversight. "If the FBI had been much more serious about mortgage fraud, they might have gotten the lenders to be serious about taking fraud prevention measures, she said.